. يعرف Golden Chain بالمستوى الراقي لخدماته ولباقة موظفيه، وهذا ما ستجده في Aquajet Motel. يمكن الاستمتاع بمجموعة من الخدمات على أعلى المستويات في الفندق كمثل واي فاي مجاني في جميع الغرف, تسجيل وصول/خروج سريع, تخزين الأمتعة, واي فاي في المناطق العامة, صف السيارات. في الفندق غرف نوم يتجاوز عددها 24، كلها مجهزة بعناية وجمال وبعضها مزود بـ تلفزيون بشاشة مسطحة, اتصال لاسلكي بالإنترنت, اتصال لاسلكي بشبكة الإنترنت (مجاني), غرف لغير المدخنين, مكيف هواء. يقدم الفندق خدمات رائعة كمثل حمام سباحة خارجي, حديقة لمساعدتك على الاسترخاء بعد نهار طويل من النشاط والتجوال في المدينة. إن Aquajet Motel هو خيارك لخدمة الفنادق الراقية في كوفس هاربر. بالنسبة للغرف من نوع ستاندرد توين هاي فلوس، وغرف غير المدخنين، وغرف فاميلي وفاميلي سويت، يجب على النزلاء استخدام الدرج، و هذا قد لا يناسب كبار السن أو الأشخاص ذوي القدرة المحدودة على الحركة. Inexpensive. Nice staff - left pillow and they called immediately hoping we weren't too far travelled...we were still in the car park. Had small sign 'please use brown face towel to remove makeup', I like such thought. Had mwave, dishes, cutlery and even couple of two-pack cookies. Older style decor, and hospitality. Stayed for three nights in an upstairs room with a balcony overlooking the pool. Nice pool with towels provided. 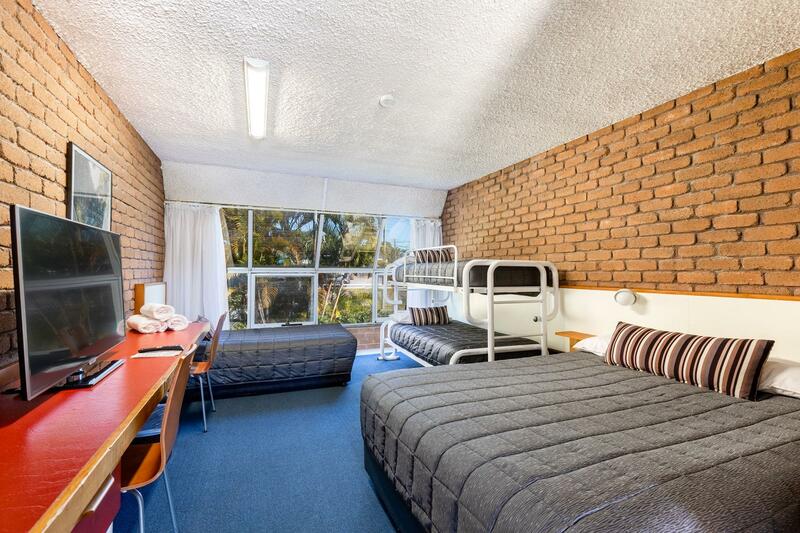 Quiet location, very handy to a shopping centre and food outlets. 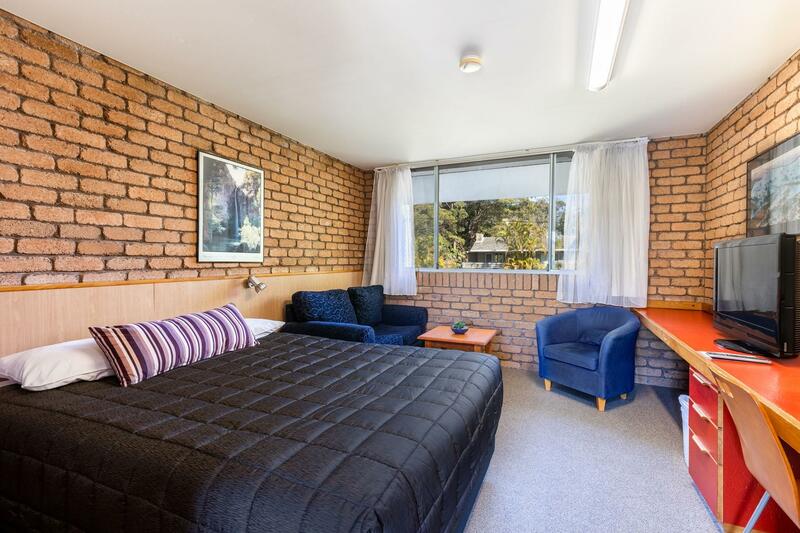 The motel is old-style, but clean and tidy. The room facilities were good, but the small TV could not view HD channels, which limited options a little. A couple of minor maintenance issues, but the friendly staff resolved them. A bonus was the twice a day lorikeet feeding near the pool. We will stay again. Would recommend the Aquajet to anyone great pool and wild life that comes to your veranda to be with you. very clean and friendly staff. 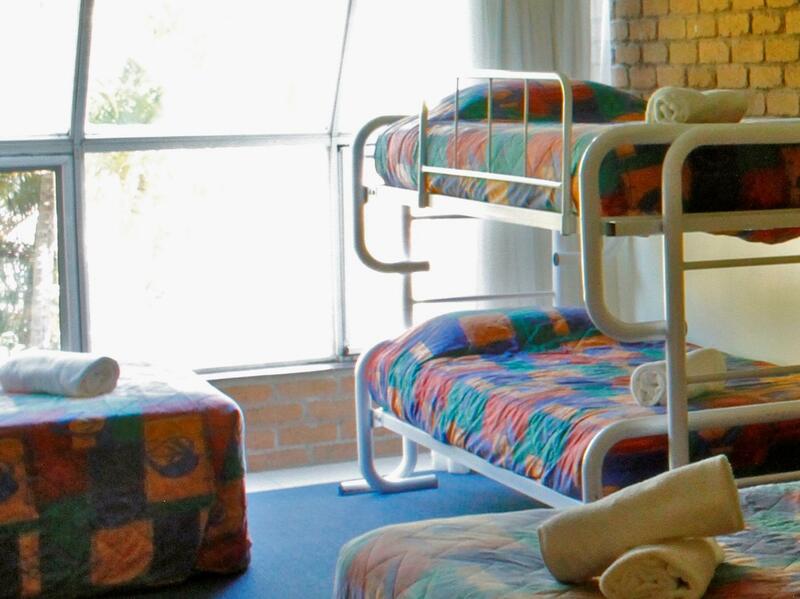 The room, whilst old, was in very good clean condition and had clearly been well maintained and cared for. We were only at the hotel for one night and didn’t use the facilities but the pool looked nice and clean. 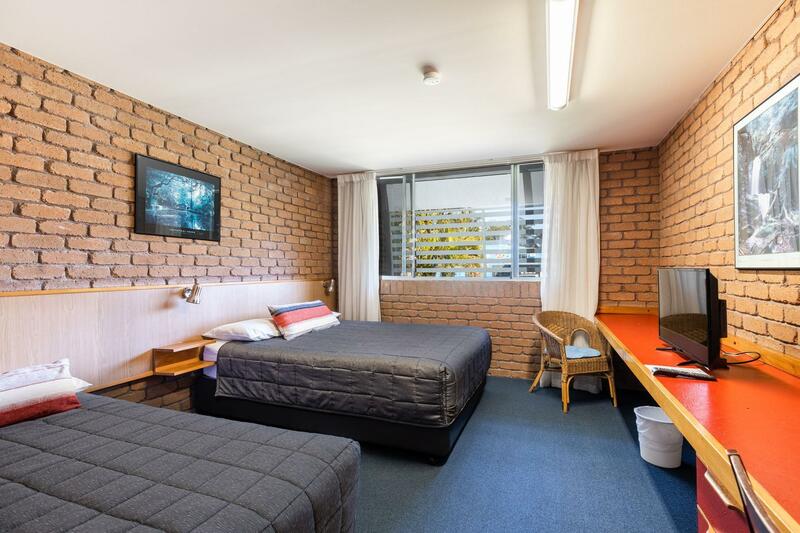 The room was large with iron, fridge and TV which was all we needed for our over night stay. If I was coming back through I would stay here again. 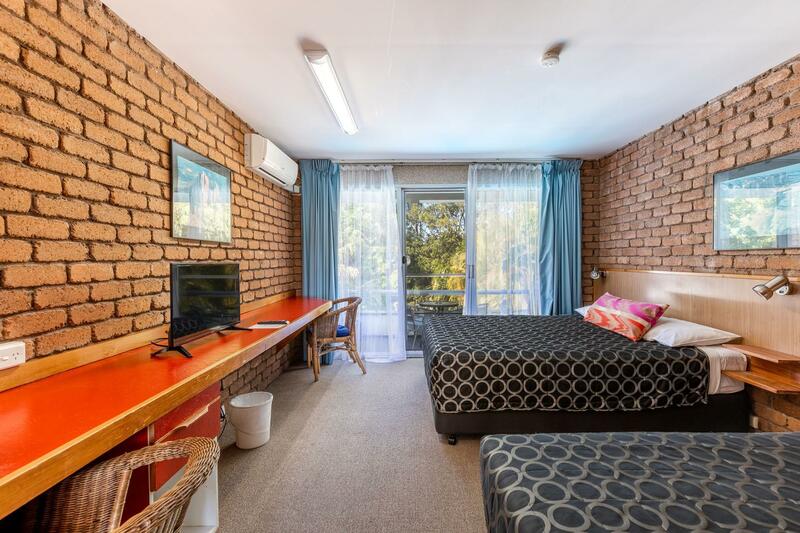 A two minute walk to the major shopping center and just off the main freeway, it is perfectly located to quickly pass through on a road trip. Room was perfect for our family of six. Everything was tidy and we had extra blankets and towels. Staff were so nice and thoughtful, even giving us a courtesy call to make sure the room would be set up for our needs. Great little motel. Very friendly staff, nice rooms for a quick stop over in Coffs Harbor. Would recommend. Bit far from restaurants or the beach if you are not driving. Big shopping centre next door, but it closes at 1730. KFC , a hamburger shop, and a decent Indian the only options within walking distance. Good comfortable bed, shower & parking for our overnight stay. A very nice setting by the pool amoungst trees and garden. Beautiful bìrds with morning feed is a nice novelty. The best thing about the hotel is the pool. 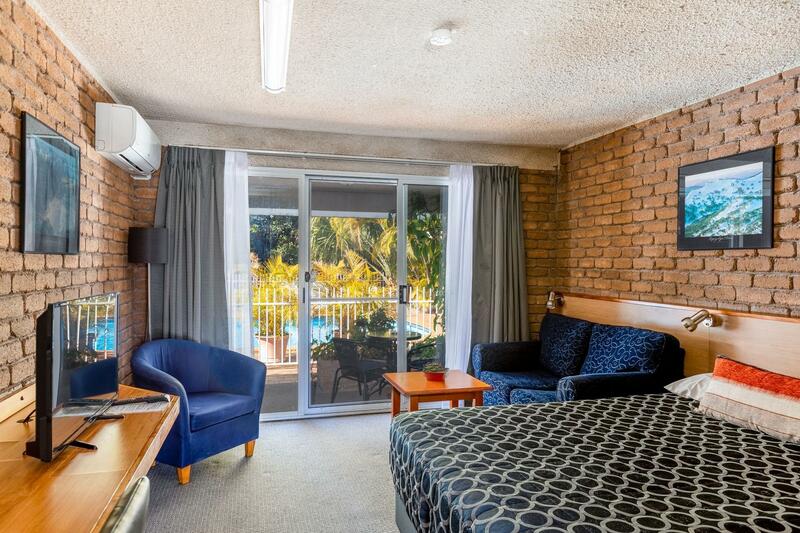 We appreciated our stay there great position being both close to the beaches and shopping centers. Rooms are large and clean. Stayed there one night, just passing through. A bit of season, so not much going on in the town. The motel is to fare away from the greyhound station, so you need to take a taxi, costs about 15 $ each way. The motel is just next to a mall, so you can do a little shopping, or find a place to eat. The motel is a bit outfashion, but we just needed a bed, and we got one. Staff very friendly. Very clean. Great customer service. Love staying there. Highly recommended. Great friendly staff, good accomodation nice and clean. 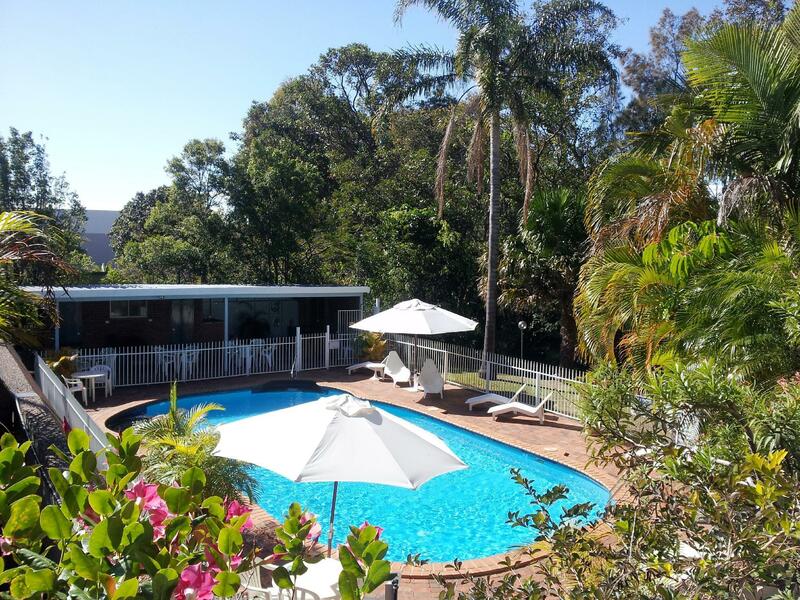 Comfortable, clean and convenient with very friendly and helpful owners. 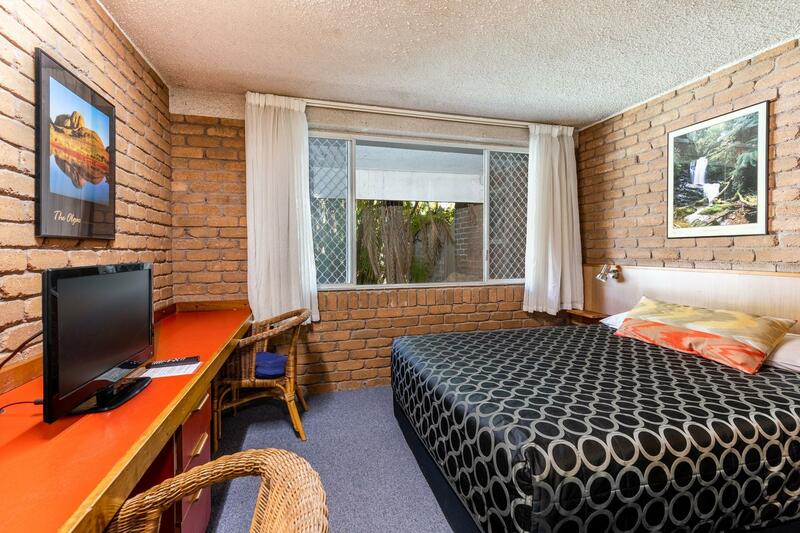 Location off the main highway but adjacent to big shopping centre makes the property an ideal stopover.